Why do leaves change color? Why do leaves fall from the trees in the fall? These questions are common for those working or playing outside with inquisitive young people. Every fall, I make sure to address these questions in a fun way. Before jumping into games and crafts, however, remember to cover the basics. I always introduce my students to a few basic words used to describe leaves and branching. I make a poster with the following terms illustrated: needle/broadleaf, opposite/alternate, palmate/pinnate/parallel, toothed/lobed/smooth, simple/compound. 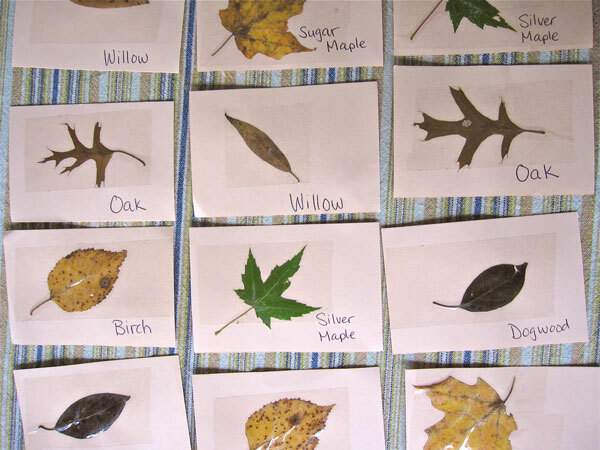 This is a great way to practice sorting, identify differences between two similar items, learn tree identification, and begin to start to think like an ecologist. This website has some nice and basic information that might be helpful to read before leading leaf themed games with students. After explaining the basics, my groups are ready to run around. My favorite leaf running game is a Leaf Relay Race. At one end of our running area, I place three paper bags labeled with large bold text: Maple, Birch, Oak. I picked these species because they are common trees in our community. At the other end of the running area, I bring a bag filled with previously collected birch, maple, and oak leaves. After making two lines, each student gets to “draw” a leaf from the bag. Teammates can help each other identify their leaves. I explain: “When I say go, the first person in each line will run across the field, put their leaf in the correct bag, and then run back and tag the next person in their team’s line. That person will then run to deliver their leaf. The first team back, sitting, and silent wins.” With younger or urban students, I ask everyone with a toothed leaf to wave it in the air – that, I tell them, is a birch leaf. 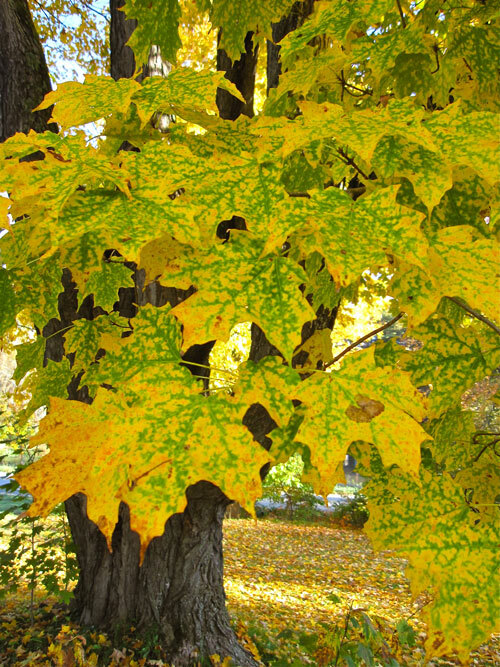 We do the same for those with palmate leaves (maple) and lobed leaves (oak). On your mark, get set, go! Rather than focusing on who won, I bring the groups attention to the bags of leaves. The group puts their thumbs up if the leaves I remove from the bag are correct. We can try again if there are several mistakes (or if we still have a lot of energy). Otherwise, I congratulate the whole group on their success. One way to celebrate is to each grab a handful of leaves and throw it into the air on the count of three. Leaf confetti! Tree Identification: With older groups, this is a great time to learn how to use Tree Identification Guides. I strongly encourage adults to guide the group to a tree they know. 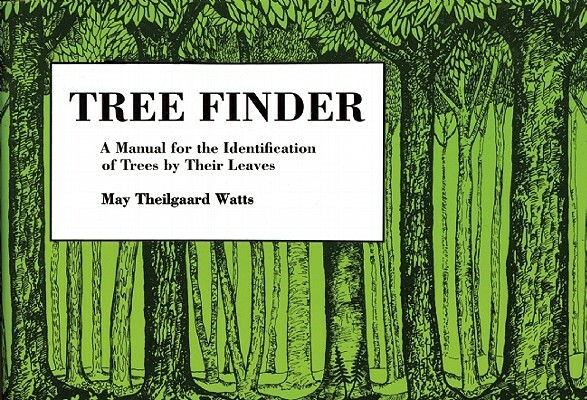 Use a book arranged using a dichotomous key like Tree Finder. It will offer you choices like, “Are the branches of your tree opposite or alternate.” Once the group decides the answer, you are directed to the next question. It’s like Choose Your Own Adventure books! Leaf hunting comes next. Our mission: to find the best five leaves we can. Maybe they’re the coolest leaves, the most colorful leaves, the smallest leaves, or the leaves from our favorite tree. Collected leaves can be used inside to do a leaf rubbing and leaf stained glass. Leaf Rubbing: Place one of your collected leaves under a paper taped to a table or on a clipboard, vein side up (to make more bumps). Scribble on top of paper with a crayon to allow the bumps of the leaf come through. Encourage students to rub multiple leaves and use many colors to fill their entire paper. Leaf Stained Glass: “Laminate” leaves between shipping tape and trim with scissors to make art that can be hung in windows like stained glass. Contact paper allows for bigger pieces of stained glass. I start by placing a piece of tape sticky side up in front of the student, folding the corners down so that it is gently affixed to the table. After the student places their leaves, I put a second piece of tape on top. So, why do leaves change colors? My favorite way to answer this question is verbally when all students have started their leaf rubbings. Rubbing doesn’t take much brain power, but it keeps hands busy and allows the group to stay seated. When I began as a teacher, I read the book: “Fall Leaves Change Color.” There are other great books that can explain the process at the right level for your group. Now that I’m more familiar with the facts, I prefer to tell the story without a book, which allows more questioning of students who can often help me tell the story. Have students who are still interested? I created a set of cards made up of six pairs of leaves. They can be used to play Memory or Old Maid. This entry was posted in Children and Nature and tagged activities, environmental education, games, kids, leaves, relay, rubbing, trees. Bookmark the permalink.